As the nation’s largest manager of non-emergency medical transportation programs for state governments and managed care organizations, LogistiCare improves care coordination for more than 24 million eligible members and their corresponding providers and hospital networks. 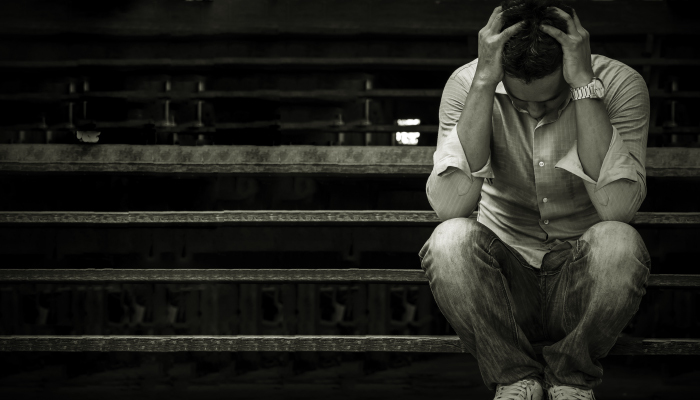 More than 20 million people struggle with addiction in the United States. 100 people lose their lives to it each day in the U.S. alone. About one in every ten people you meet is battling with some form of addiction. LogistiCare provided a million more rides to substance abuse treatment facilities in 2015 than it did in 2014. It’s a complex disease with a lot of physical and psychiatric traits at play. There’s a lot that is still unknown. Is it a behavioral disorder or a brain disease? While all experts agree that addiction is chronic, there’s been some debate on its nature. We know there is often a genetic link. Family history is a risk factor. We also know that there are mental disorders like Attention Deficit Hyperactive Disorder (ADHD), depression, bi-polar disorder or other personality disorders that often go hand in hand with addiction. Early exposure to drugs and alcohol from ages 13-25, when the brain is still developing, can lead to long lasting effects of addiction. Teens especially should avoid them for this reason. Yet, it’s not all behavior-based. The brain certainly plays a significant role with the state of addiction. Whether addicted to alcohol, illicit or prescription drugs, gambling, binge eating, or adult content, studies show the brain acts in similar ways to exposure. New research published in the New England Journal of Medicine indicates that changes in the brain’s chemistry can be largely attributed to difficulty in quitting, higher levels of tolerance, and future relapses. These medical findings show that addiction isn’t solely a behavioral or moral issue. It’s a multifaceted disease. Addiction is similar to other chronic diseases. It’s treatable, but not curable. When we call a disease chronic, it means that while sometimes treatment can lead to a healthier state, it may not permanently suppress the disease. It could relapse or happen again. 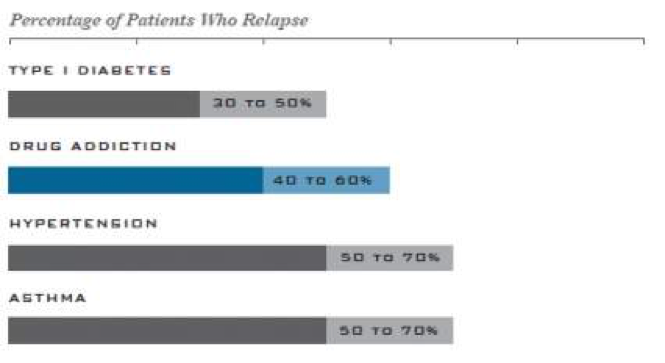 Other chronic diseases with high rates of relapse are shown in the graphic below from the National Institute on Drug Abuse. Because addiction is a complex, multi-faceted disease, treatments vary, but can help in managing the disease and preventing relapse. A relapse doesn’t mean failure, but that treatment needs to be adjusted or rebooted. Ignoring this disease carries significant health, social, and economic consequences, not just for the individual but for our communities. Estimates for the cost of untreated addiction in America run $600 billion a year between health care, court costs and incarceration. The Mental Health Parity Act and the expansion of Medicaid are making it easier for people to receive treatment, which is far less expensive than letting the disease manifest into destructive, or worse, life threatening results. Managing any chronic disease is a day-by-day journey. The more support we can give our members in accessing their treatment plans, the better. Sometimes all it takes is a friendly voice and a little encouragement.